We absolutely love cognac, French brandy is a great addition to any bar and at Monteiths we’re lucky enough to work with a selection of amazing products. While most bartenders will instinctively reach for the expensive cognac when asked talk about one (Louis XIII for hundreds of pounds a shot anyone?) we’re really excited about a new addition to the back bar that’s much easier on the pocket. 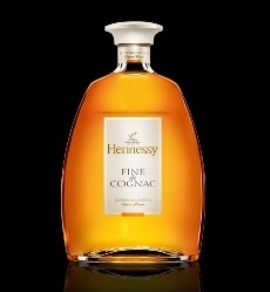 Hennessey Fine De Cognac is a youthful blend that sits between VS and VSOP in terms of flavour profile. While, like most cognac, it makes for a great sipping drink – we’ve been impressed by this spirit’s cocktail credentials as well! It is a smooth, light liquid with a really floral nose that’s only been around since 2002. That’s not to say that this drink doesn’t have heritage, the eaux de vie is subtly aged in barrels that have already been used in cognac production 5 or 6 times! Expect citrus blossom coupled with mango and grapes on the palate. By re-using older barrels these delicate flavours are oreserved as the oakiness and woody flavours associated with richer cognacs are not given the time to overpower. This is a quirky cognac that deserves to be tried!